July 2017 Color of the Month! 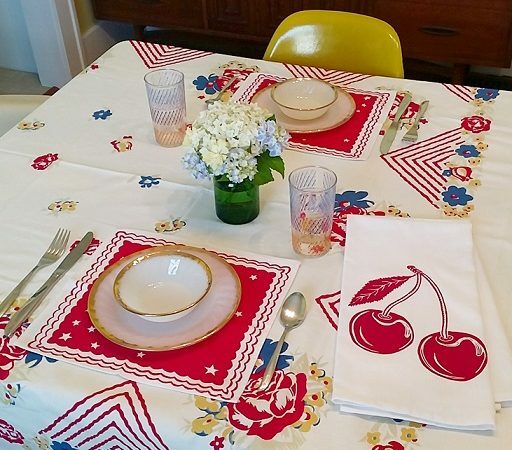 I felt like it was only fitting to do a festive color of the month theme for July, especially since I have these fab red, white, and blue star glasses! 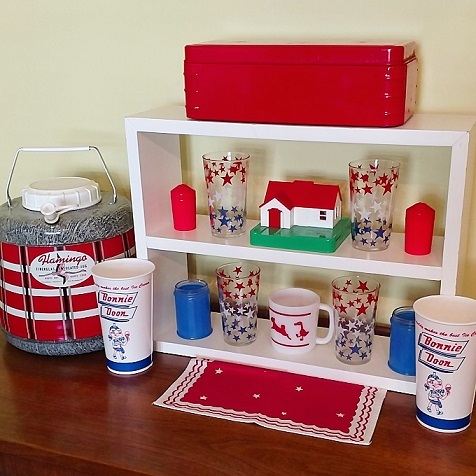 Fave vintage: red metal lunch box, red shakers, plastic bank house, festive star glasses, fired on blue glass bottles, Hazel Atlas child’s mug, amazing flamingo cooler jug, cups from the now closed beloved Bonnie Doon, what I wouldn’t give for a plain mint ice cream cone, anchored on an amazing red and white star napkin! 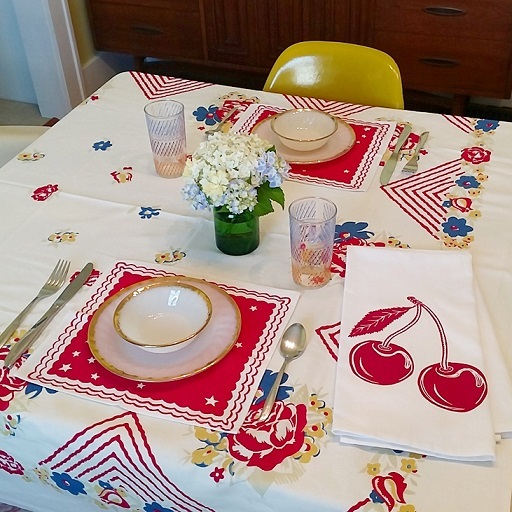 Fave vintage: Fire King swirl dishes, subtle plaid glasses, star napkins, awesome tablecloth, artgoodies cherry towel, and fresh picked hydrangeas!